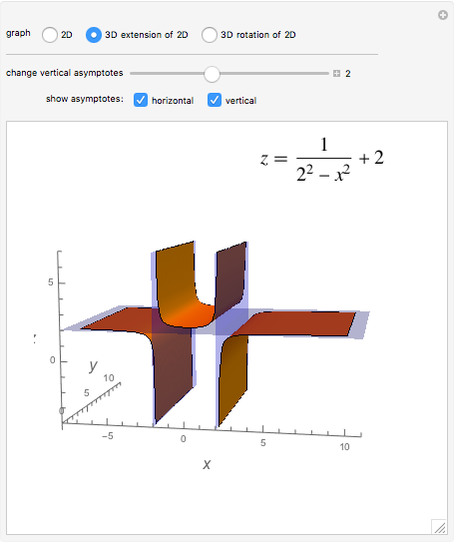 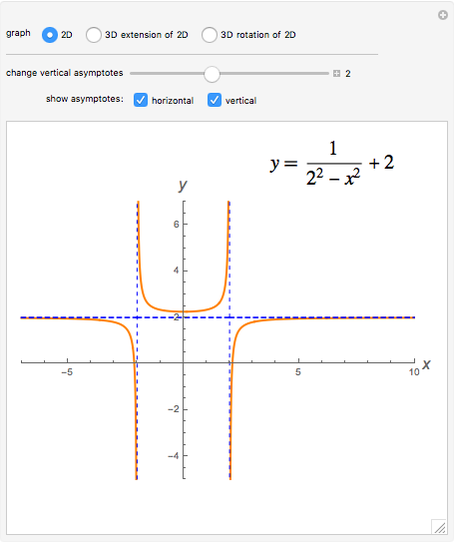 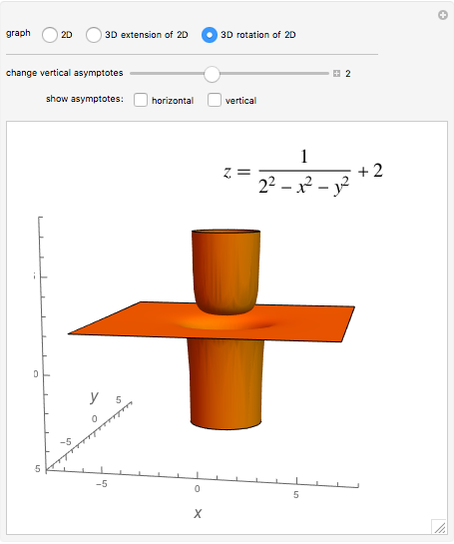 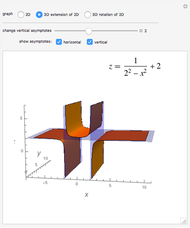 This Demonstration shows horizontal and vertical asymptotes in two and three dimensions. 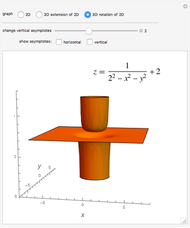 The 2D example is extended to make a surface in 3D and it is also rotated about the axis to make a different 3D surface. 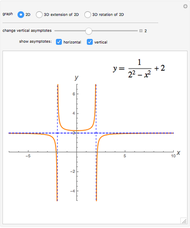 Abby Brown "Examples of Asymptotes in 2D and 3D"